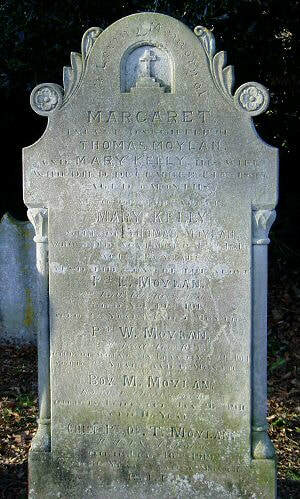 Son of Thomas Moylan and his wife, Mary Kelly. 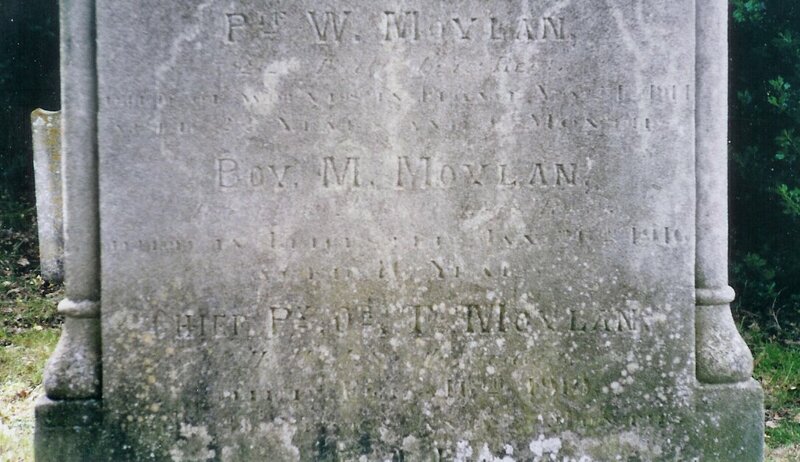 Husband of Eva Moylan, of Delhi House, 112 Manners Rd., Southsea, Hants, England. We regret to have to record the death from pneumonia of Petty Officer Thos. Moylan, of H.M.A.S Australia, which occurred on Sunday evening. Deceased came to the island on leave a week ago last Tuesday, previous to going back to Australia and contracted a cold on the voyage from Portsmouth, which developed into pneumonia, necessitating his removal to the Victoria Hospital. He was 36 years of age and the eldest son of Mr. Thos Moylan, of Jerbourg-road, St Martin's and was an old boy of the St. Joseph's R.C. Schools. P.O. Moylan was in the Jutland Battle, and for his services was promoted and awarded the Croix de Guerre. He leaves a widow and two children to mourn his loss. The funeral took place on Thursday at the Foulon Cemetery, with naval and military honours. The chief mourners were Mrs. T. Moylan (widow) the Misses Henriette, Cecilia and Kathleen Moylan (sisters) and Corpl. and Mrs. J. Moylan (brother and sister-in-law, Boy F. Moylan, Lancashire regiment, Mrs. Dallas and Mr. Matthews. Lieutenant D. Barber, R.N., and Chief Officer F.J. Goodyear, R.N., represented the naval forces and the firing party was commanded by Sergt. W. Le Poidevin, D.C.M, and Bandmaster Small was in charge of the Band. The funeral rites of the Roman Catholic Church were conducted by the Rev. T. G. Hickey. Taken Prisoner of War at Mons on 23/08/1914 following a minor shoulder wound. He was held at Sennelager, Minden, Grossenwedermgoor and Hülseberg. 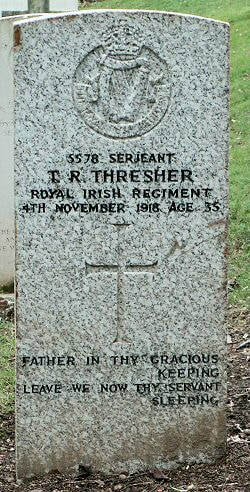 He was at the latter until 24th December 1917.